Brand: Wind & Willow WW-34102E Units: 1 mix From Wind and Willow company. Make up this beautifully packaged and delicious mix. Just add 8 oz. cream cheese and 4 tablespoons butter. Serve on graham crackers, cookies, fruit, bagels, etc. From Wind and Willow company. Make up this beautifully packaged and delicious mix. Just add 8 oz. cream cheese and 4 tablespoons butter. Serve on graham crackers, cookies, fruit, bagels, etc. 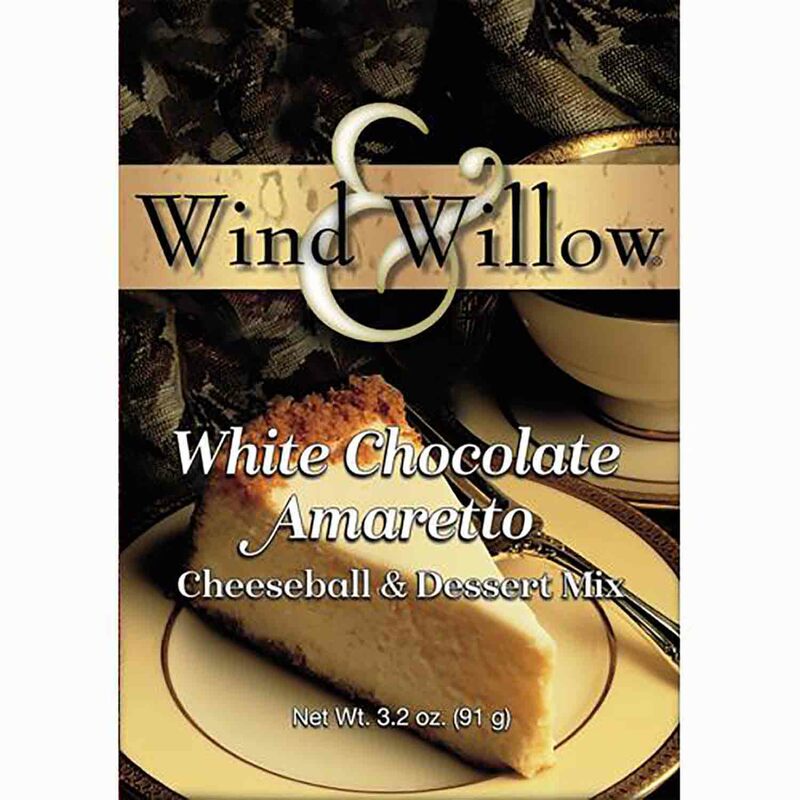 Ingredients: Cheeseball: Sugar, Creamer (Partially Hydrogenated Soybean Oil, Corn Syrup Solids, Sodium Caseinate, Mono and Diglycerides, Dipotassium Phosphate, Lecithin), Artificial and Natural Flavors (Modified Corn and Tapioca Starch, Maltodextrin, Partially Hydrogenated Coconut Oil, Sodium Citrate, Salt, Lactic Acid, Dextrose, Brown Sugar). Topping: Sliced Almonds.